"She'll coax the blues right out of your heart!" 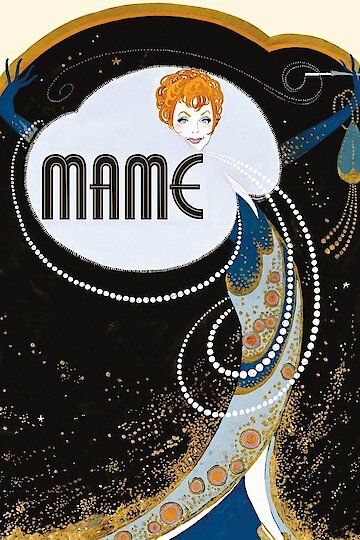 Mame is a 1974 musical that is based on the Broadway musical of the same name. The ultimate source of both the movie and the play is a novel, Auntie Mame, that was written by Patrick Dennis in 1955. The title character is an eccentric, free-spirited woman who becomes the guardian of her late brother's son. She decides to introduce the boy to her unconventional lifestyle and she also falls in love with a southern gentleman. Mame is currently available to watch and stream, buy on demand at Amazon, Vudu, Google Play, FandangoNow, iTunes, YouTube VOD online.